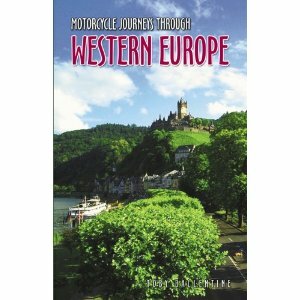 I am giving away my copy of Motorcycle Journeys Through Western Europe. Another good read by Whitehorse Press. Free shipping too for the US. Wanna start planning that European dream ride you’ve had in the back of your mind all these years? Share, tweet, Like or +1 this post to be among those randomly selected for the free copy. Hi, I have been along for the ride for some time now and WoW it’s been a good one so far cant wait for the next post. The vids help make it feel like I’m there, and now with the podcast its even better. I hope that your able to see the ride all the way to Ushuaia The DAKAR will be starting soon (01/01/2012) and I here its something to see. Stay safe and be well.